Abu Dhabi is known as the “Manhattan of the Middle East” due to its number of skyscrapers in proximity to each other. I really loved Abu Dhabi’s modern side, but I was also fascinated by the history of this city. During the 1900’s Abu Dhabi was one of the poorest emirates, a quiet backwater of fishing villages, pearling, camel herding and farming. Its main industry (pearling) had taken a massive hit after the Japanese had invented the cultured pearl and its wealth declined – but in 1958 its fate would change forever. Oil was discovered that year, which could be sold for a fortune to the western world. Anyway heritage and tradition are still held in high esteem by many Emirati, and members of the older generation recall that they were crucial to their own survival. 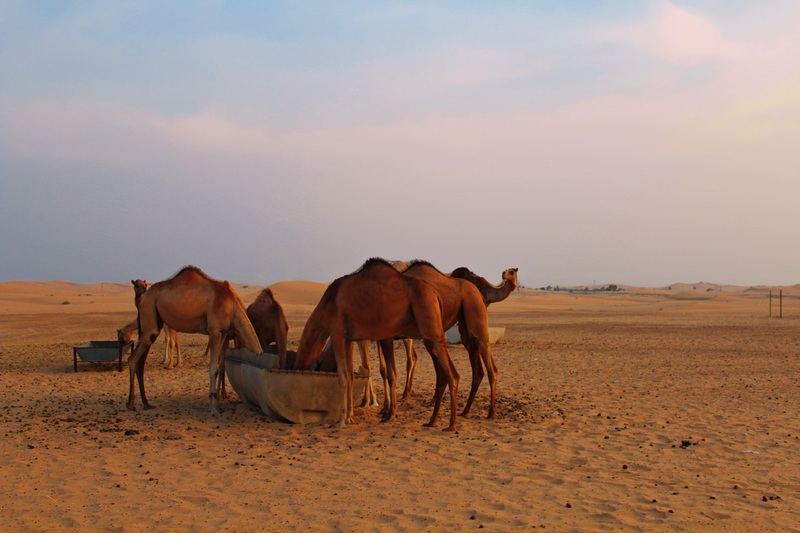 Today’s visitors can experience desert life through participation in a range of organized desert trips, and I decided to try the Desert Safari Tour in Abu Dhabi! The adventure of the evening started with the superb dune bashing. 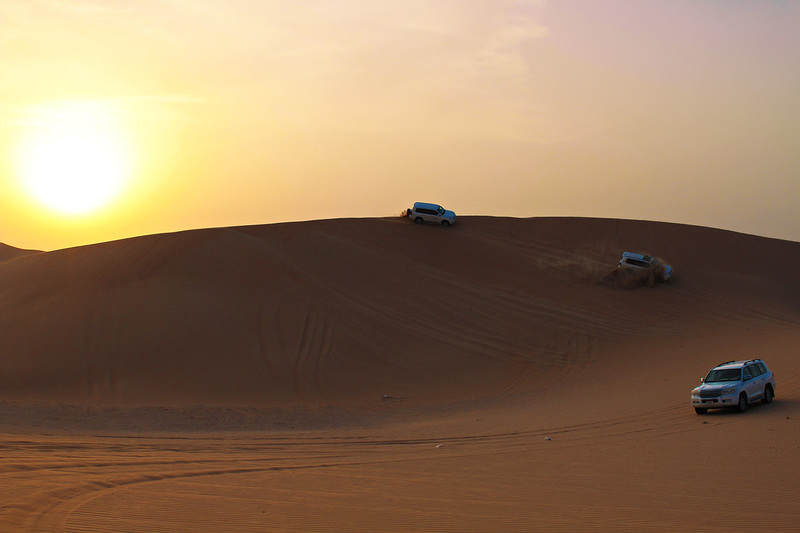 Though safety is ensured by the tour operators, the unpredictable nature of the sand dunes increases the sense of adventure. There will be a number of stops where you will catch your breath – and when you will probably think you’re about to die – but anyway this is really one of the highlights and most exciting parts of the tour. For those who thought of the desert as a drab colorless sand expanse, the adventure here makes them think again. The next phase of the Desert Safari Tour in Abu Dhabi is the dune buggy ride that you can participate in, where you will be able to ride through the sand in a special buggy. The thing I loved the most was watching the sunset. 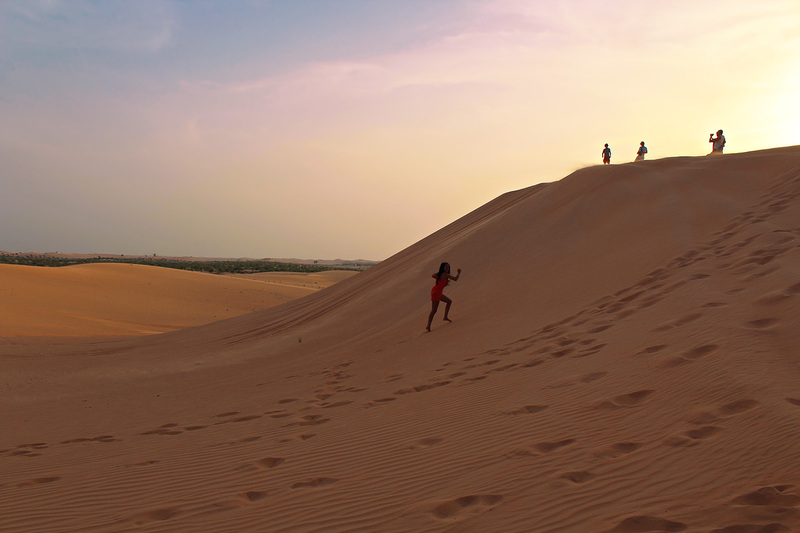 You will be taken to the highest sand dune where you can see the beautiful riot of colors of the sunset. The view of the sun going down for the night is an experience that you can capture in your camera and one that you will never forget. 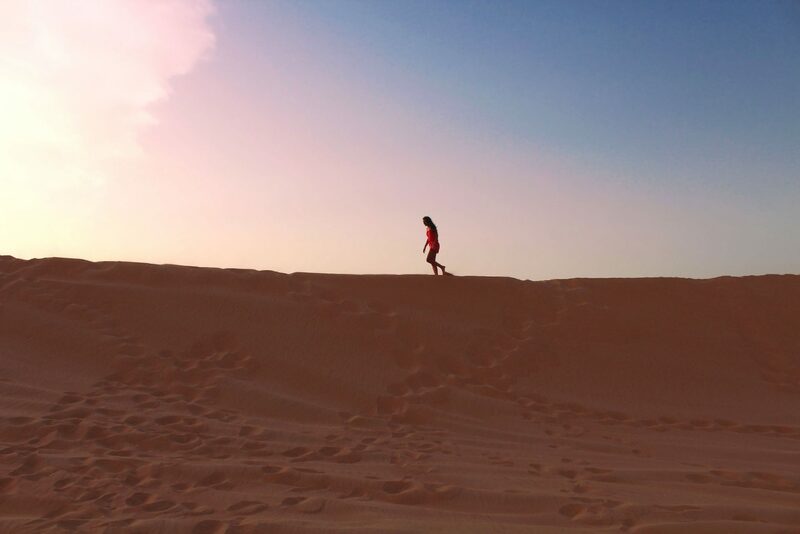 After this you will proceed towards the desert safari camp where a traditional welcome awaits you with Arabic coffee, tea and dates and you have the opportunity to do a camel ride, sand boarding and try out a henna design on hand or feet. 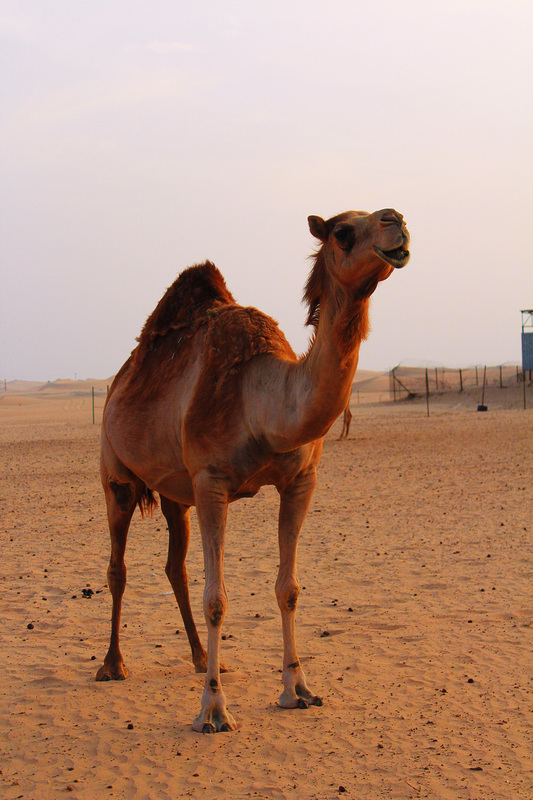 Oh and by the way this is my sweet friend Caramel the camel! Say hello! 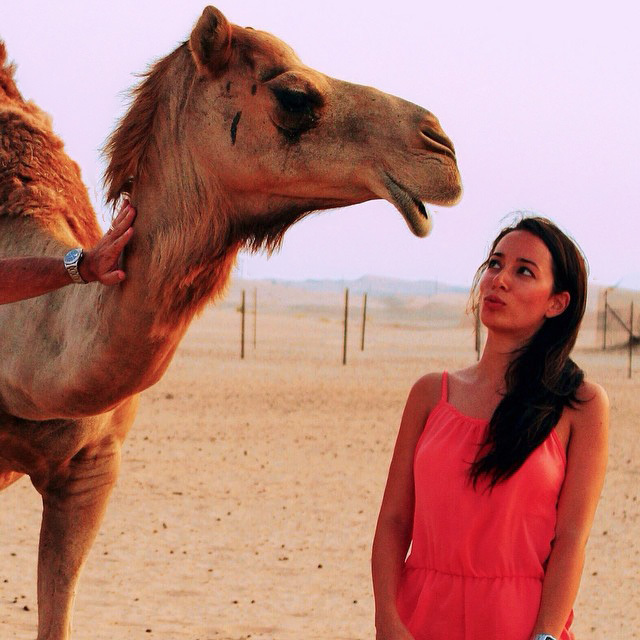 Have you ever done a Desert Safari Tour in Abu Dhabi?